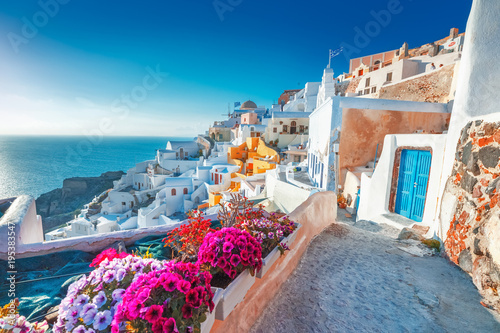 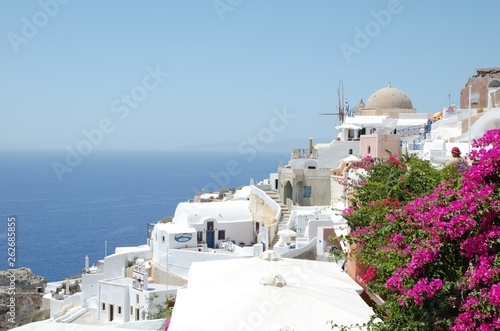 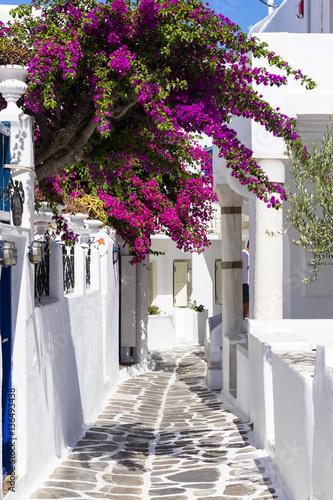 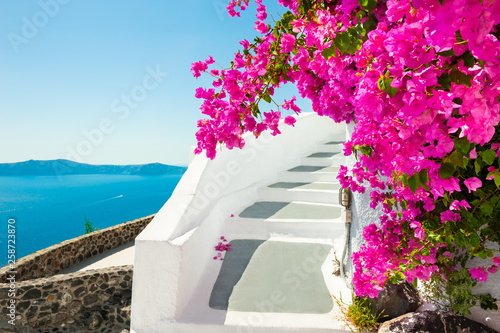 White architecture and pink flowers with sea view. 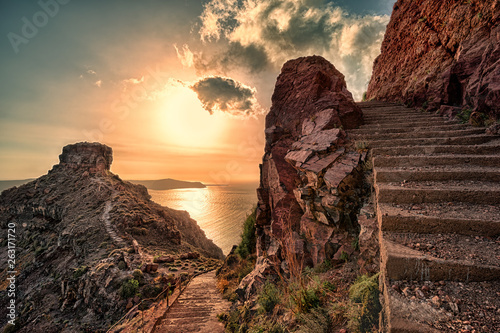 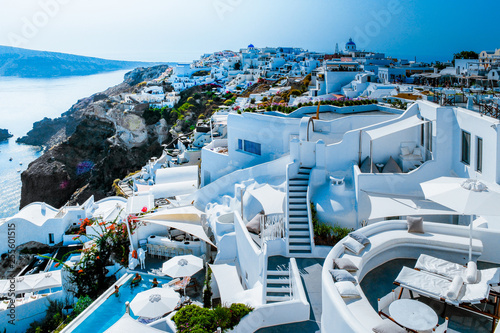 Santorini island, Greece. 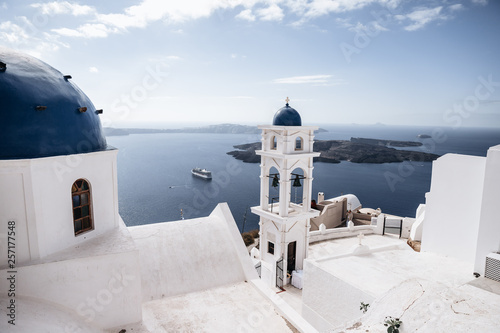 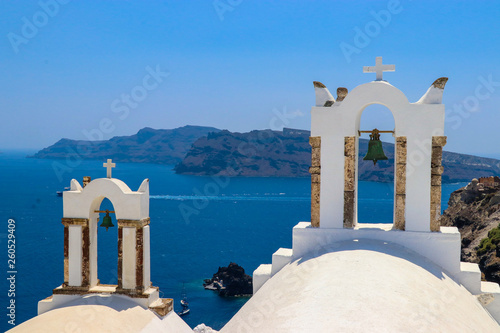 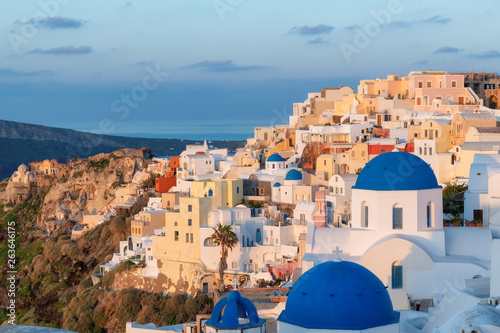 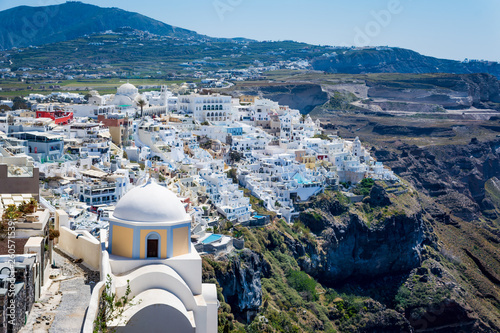 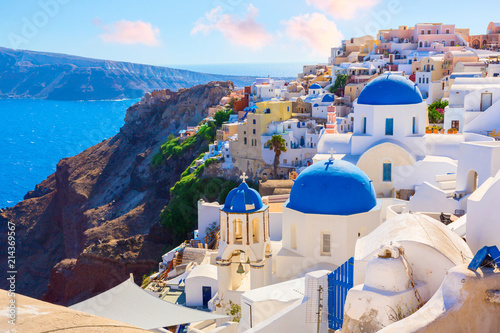 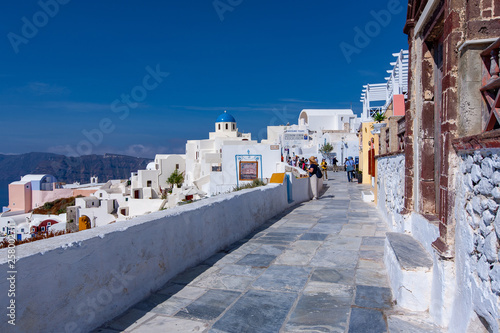 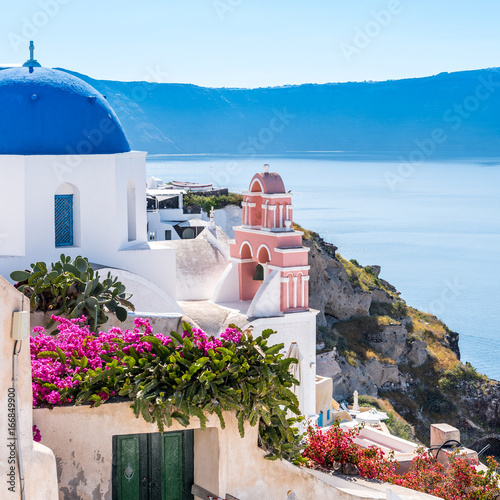 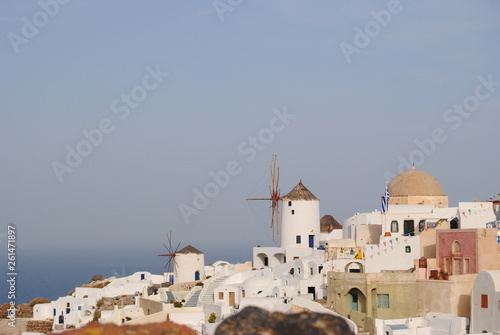 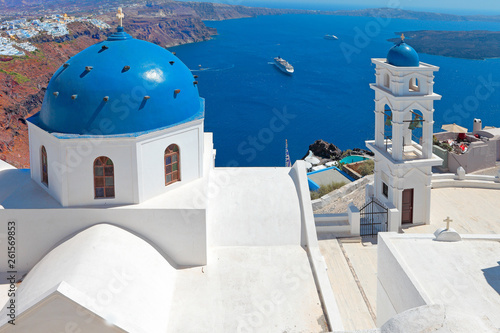 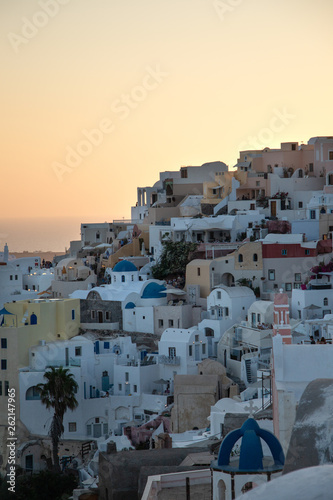 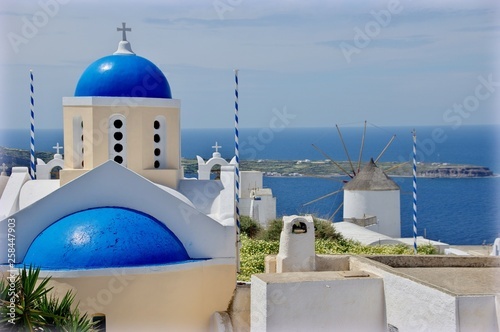 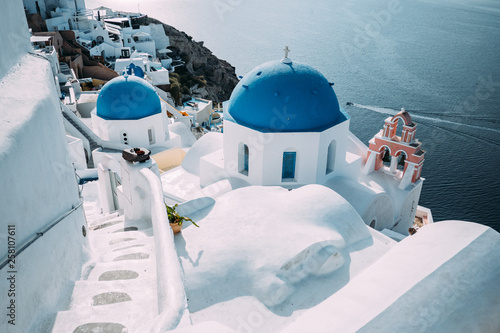 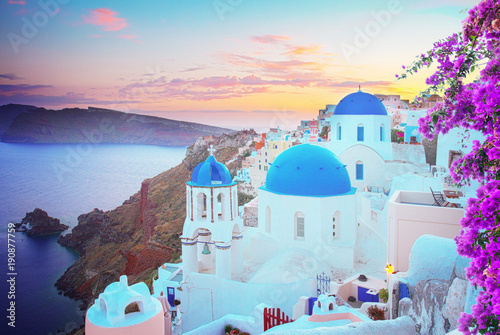 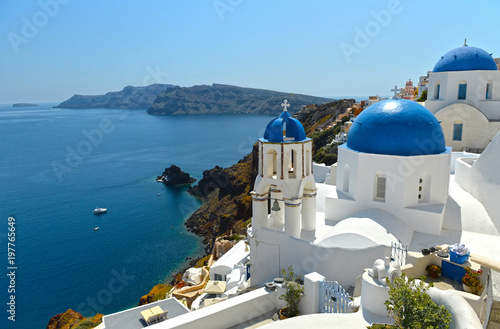 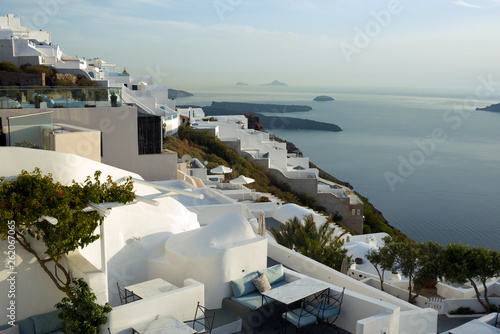 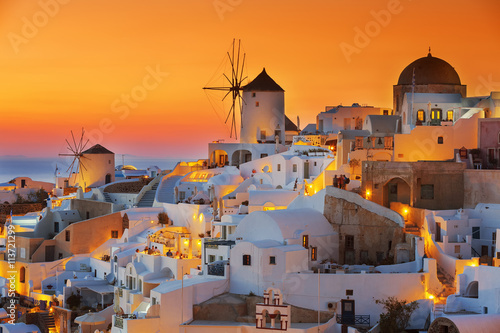 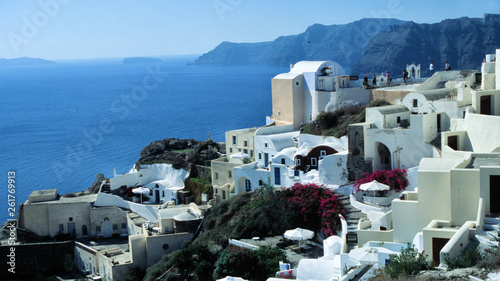 Sunrise at blue and white domed churches on Santorini Greek Island, Oia town, Santorini, Greece. 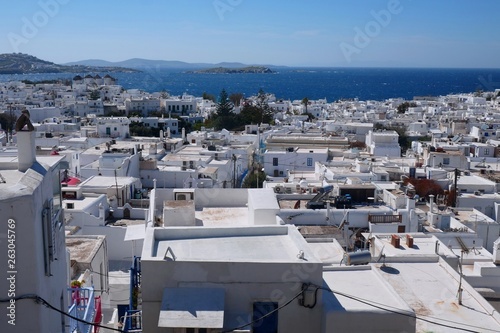 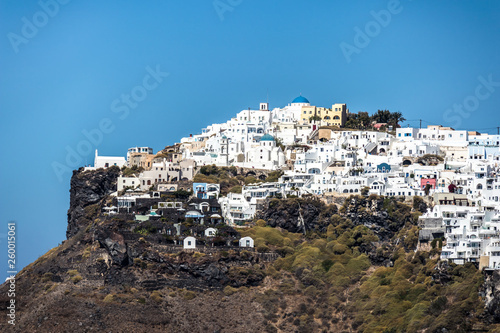 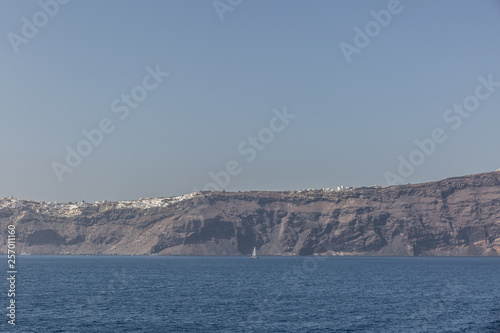 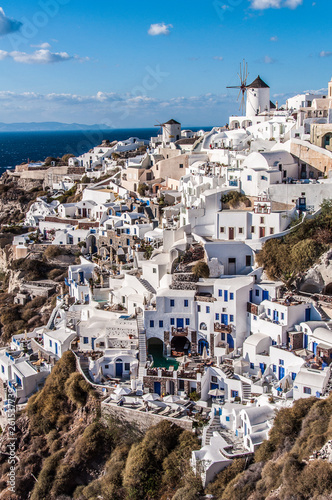 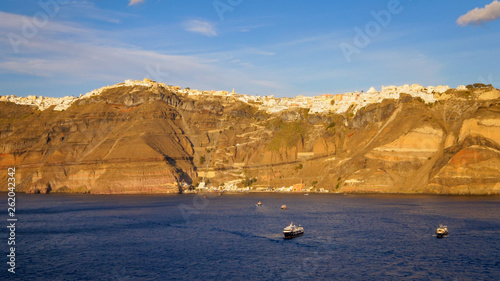 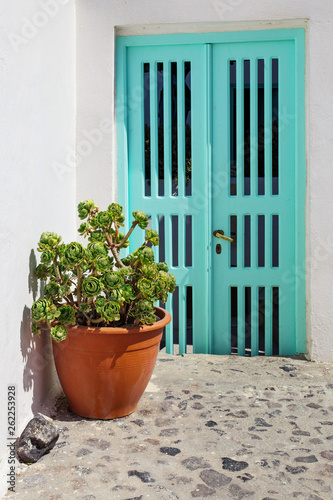 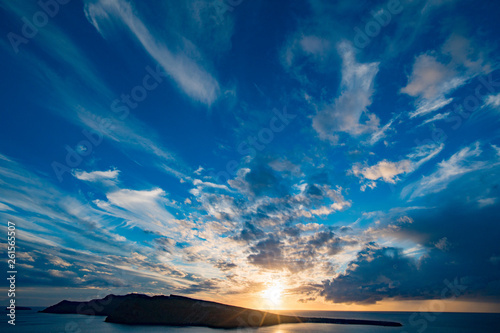 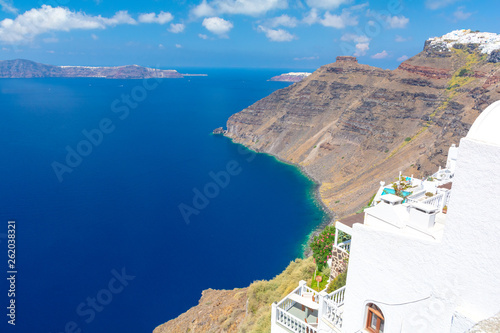 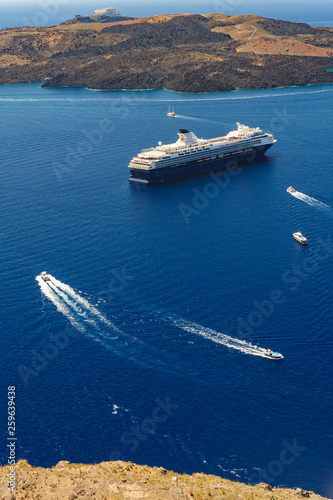 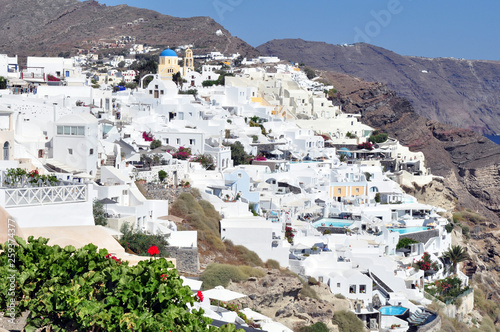 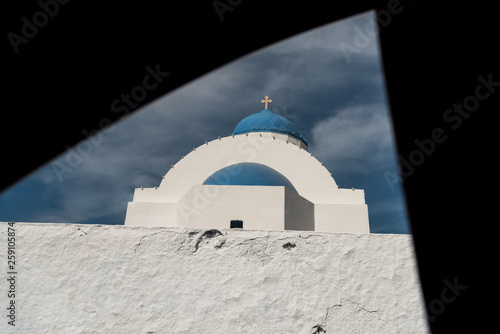 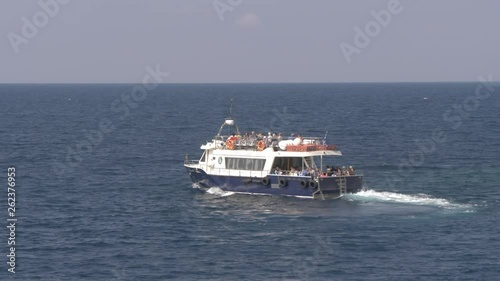 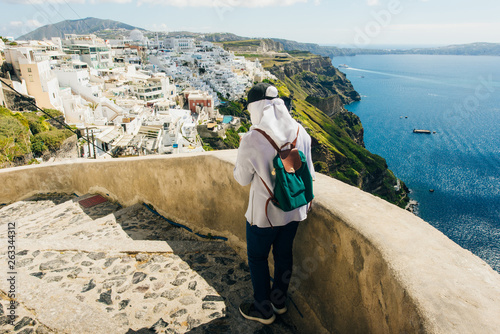 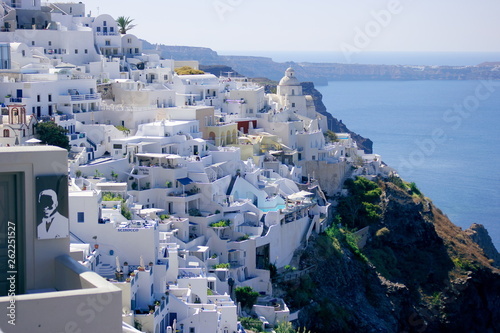 Greece, Santorini - October 28, 2018 year. 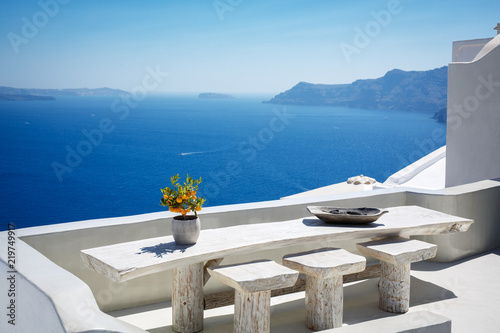 Island views.